White and black flowy tank with a black pocket. We only have 2 left in stock! 1 S/M and 1 L/XL! Also pictured is our beautiful gold necklace, which is also a Victoria Leland Design for just $9! We have 6 of these necklaces in stock! Designer backpack. Comes in the 2 colors shown! Lots of convenient pockets. We have 2 turquoise backpacks and 2 cream colored backpacks left in stock! We also have men's clothing! Come in and check out our cool summer tees. 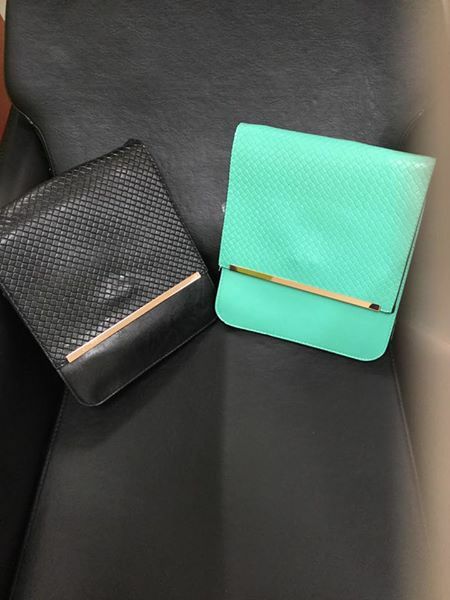 Victoria Leland Designs Purses. These are great accessories to dress up any outfit! We have them in Black and Teal. Backpacks! durable and trendy! 1/2 OFF! All Professional Irons Are On Sale for $49.95!! A total saving of anywhere between 30-75$!! This super cute printed blouse has 3/4 length sleeves held by a button and cute little silver beads toward the neckline. Designer clutch. Vegan leather. Attachable adjustable strap. 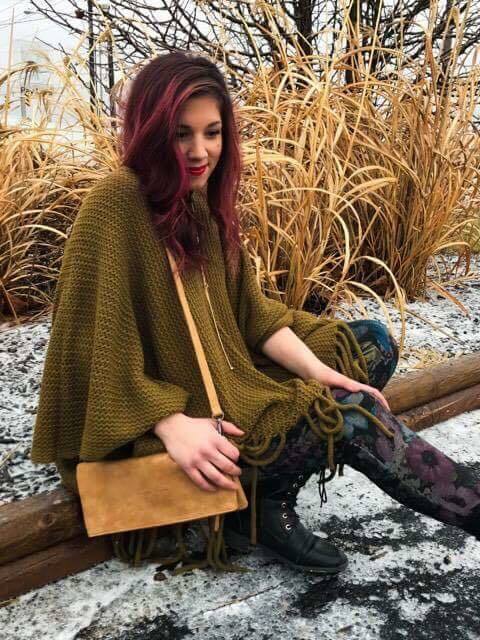 We have some new spring items at Detour! These come in S,M,L, and XL . 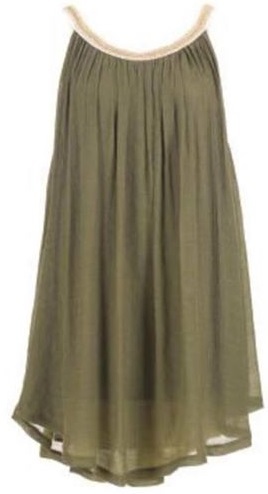 You could wear it as a swimsuit coverup or dress it up with leggings. Quotes from our Owner JB! Fun & quirky gifts! Super cute designer crossbody purse. Multiple pockets inside. Adjustable strap. Comes in 2 colors shown! ONLY 2 black and 1 turquoise left in stock!! This super cute lace up blouse comes in two different colors, white and blue. We have 2-1X and 2-2X available in white. We also have 1 1X and 2 2X in blue! Perfect to dress an outfit up or down. Cozy for a lazy day, or dressy for a night out. Sleeveless denim duster that goes with EVERYTHING! Shorts, pants, skirts, dresses long and short. Black studded leather Sondra Roberts square purse. Long Chain strap and wristlet attachments. Cute animal print liner. Many styles to chose from! Cute, light weight, colorful shawl. One size fits all!! We have 3 different colors in stock. 1 blue/white, 1 coral/white, 2 black/pink. 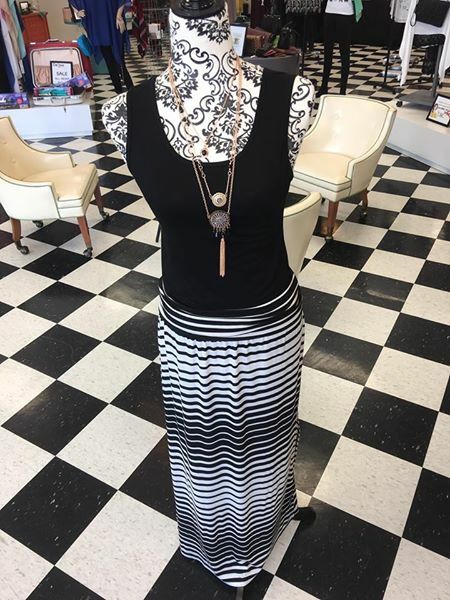 Super cute but comfortable maxi skirt! We have a variety of colors shown below. We have grey, turquoise, and black! Also pictured is a black tank for only $11! Also, our super cute layered necklace pictured is only $11! Perfect accessory for a day at work, or a night out. 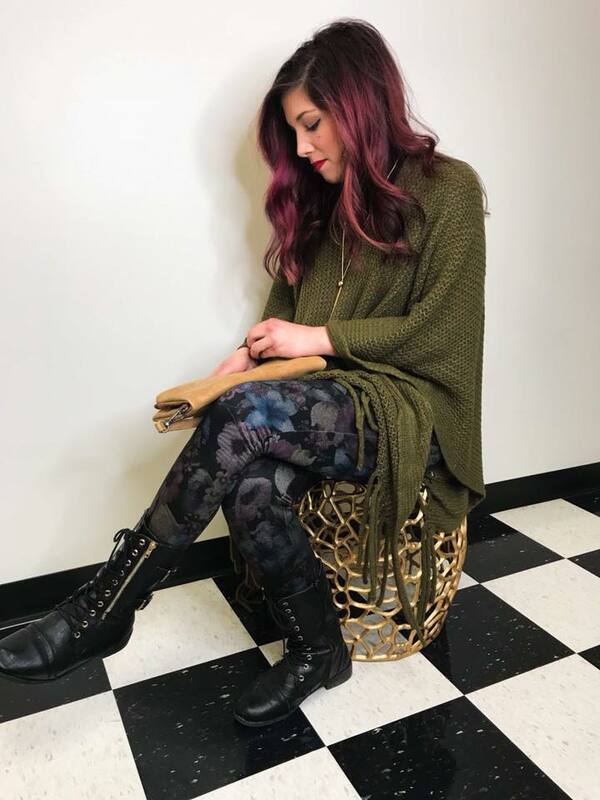 Super comfy & control top leggings! Made for everybody. We carry a variety of colors and sizes. We have grey, black, and maroon! Bio ionic curling iron! Temperature control, rotating iron! Super cute and perfect to dress up or have a comfy day! Designer suede messenger bag, durable, adjustable leather strap. Comes in three colors! Come in plus sizes too! PRE-SALE!! tell us what you'd like us to order!